Monkfest & St. Francis HouseRecord Owner? Log in. It was to be a postive spin-off of the former 'Punkfest' held out in Spiderland (near Madoc) Punkfest was closed down due to unfortunate circumstances that happened during the festival. Although, it was never a positive place to be to begin with. Infested with drugs, alcohol and fights, Colleen dreamed of something where kids could still come out to enjoy the music but be safe and of a right state of mind. In the winter of 2002 Colleen vocalized her idea and with the help of a team of friends and volunteers work began to prepare the St. Francis Farm for a weekend of music. Monkfest 2003, held (now annually) on the last weekend of May hosted over 100 people. Tents littered the fields as people spent the night. It was bitterly cold but not a negitive word was said. This was only the beginning. 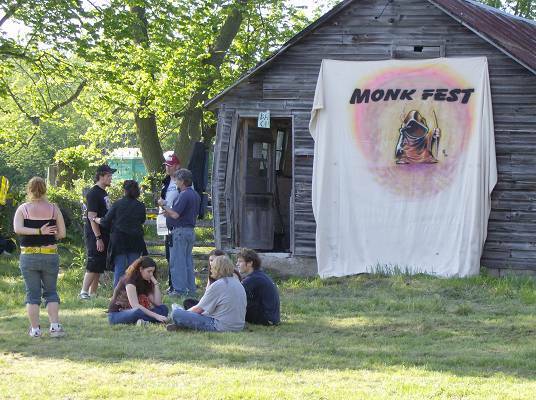 Have something to say about Monkfest & St. Francis House?